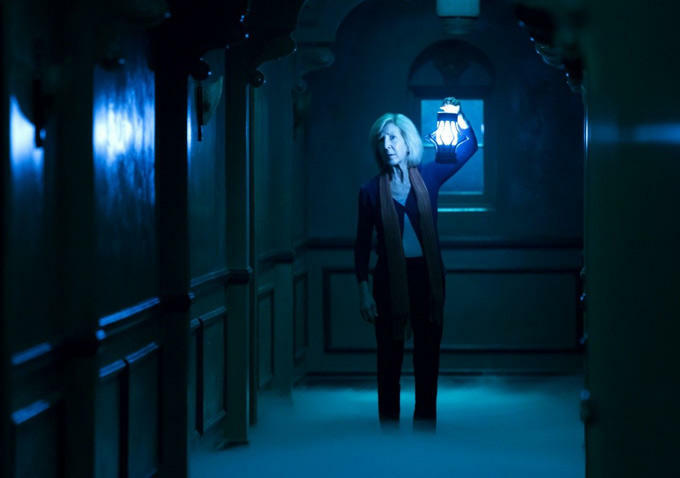 John’s Horror Corner: Insidious: Chapter 3 (2015), another exceedingly creepy chapter in this franchise. MY CALL: I consider this movie a major disappointment in terms of storytelling. But it certainly has its merits in the creepy and scary department. Watch at your own risk. 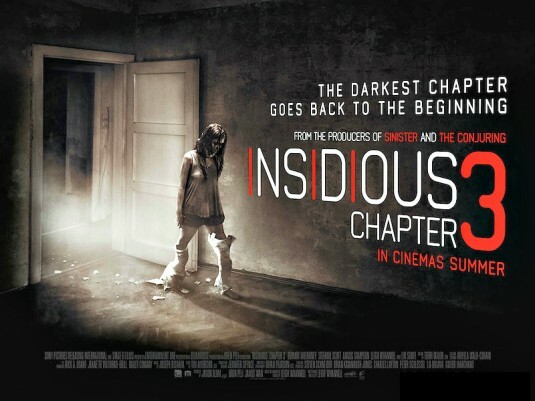 MOVIES LIKE Insidious: Chapter 3: Poltergeist (2015), Insidious (2010) and Insidious Chapter 2 (2013). I am not a fan of these films. If you are, I strongly recommend reading Mark’s reviews of the Insidious films instead of mine. Mine will probably just upset you…much as this franchise continues to upset me. I enjoy these franchise films for creepiness and scares but abhor their poor storytelling. The Insidious franchise has never done much for me. Some people love it and praise these films up and down as the next best thing…I’m not one of them. Directed by James Wan (Saw, Dead Silence, The Conjuring), the first installment (2010) succeeded in introducing us to fantasticly written and acted characters for whom we cared, great shots and stellar scares–but somehow to its detriment, the movie felt like three different movies forced together one after the other. It began like a mix between a weird haunting and a Lifetime movie about a home invader, moved on to some really cool build up as we learn what the problem is, and them degenerates into great scares but off-kilter storytelling as we dive into The Further. This could have been done splendidly, but I found no sense of smoothness in the transitions; individual scenes felt strong but they struck me as hastily sutured together to form a Fankensteinian stitch-work horror of storytelling. In its defense most of the cast was amazing, however the story lacked any sense of synthesis and the overexplanation of The Further (and simply trying to show it to us rather than leaving it a mystery) really depleted my interest in the film. 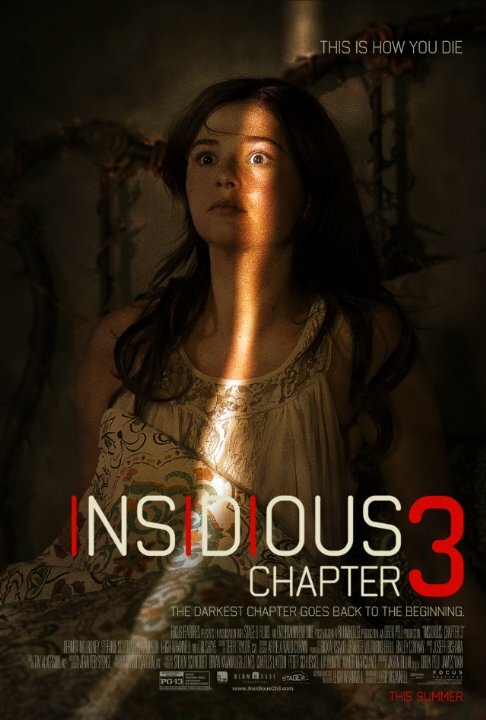 Insidious Chapter 2 (2013; also directed by James Wan) continued to follow Patrick Wilson (The Conjuring) and Rose Byrne (28 Weeks Later) down an even more shakily-told storyline whose tone inexplicably shifted to near farcical at times with an insanely possessed Patrick Wilson grinning like the mounted Evil Dead 2 deer head. I liked parts of Chapter 1 very much, but nothing about Chapter 2 brought me any pleasure and I was hardly entertained. Despite the presence of solid actors and a proven director, I was relieved to hear that Wan was stepping back for Chapter 3 and that we would start anew with a largely different cast. Now with a new first-time director (Leigh Whannell, who wrote the first two installments), we venture into this incredibly unnecessary prequel which serves little more purpose than to re-introduce us to the psychic medium Elise (Lin Shaye; Ouija, A Nightmare on Elm Street), show us how she teamed up with her paranormal investigator Geek Squad duo, re-visit The Further, and tell us a new story. It pains me (but doesn’t shock me) to say that in all these endeavors this film failed–however, the female characters and general creepiness make this more than simply watchable. The budget is low and this is most obvious during the scenes in The Further. I maintain the film didn’t need to take us there and “show” us The Further again, or in the first place. 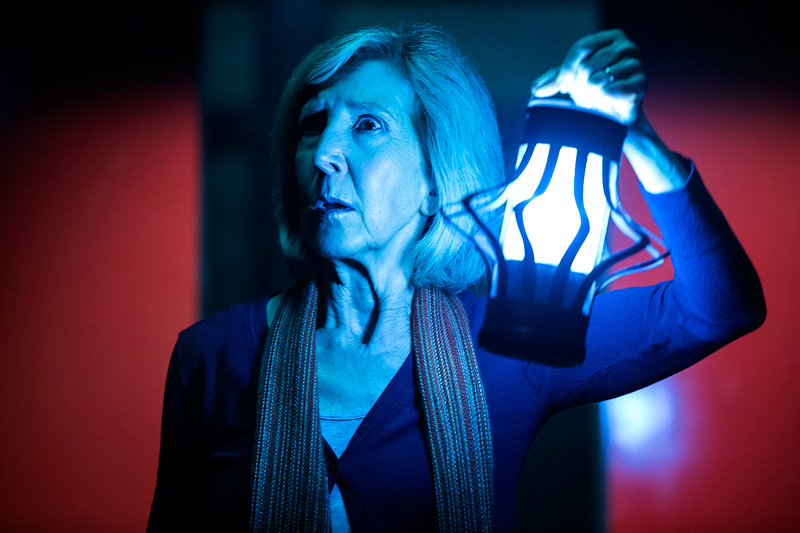 Insidious Chapter 3 suffers from the same snags as the Poltergeist (2015) remake. From the start these films assume we already care instead of giving us a good reason to care. Sure, you can show me a struggling widower raising his kids or a family facing some hard times. But you don’t earn my sympathy and manifest urgency just by putting that on screen and then dropping these families into bad supernatural situations–and that’s all we get here. Hey, Elise? Did you find the soul of the story in there? It seems that a demon stole the soul and life from this plot. Teenager Quinn (Stefanie Scott) helps her struggling father (Dermot Mulroney; The Grey, Stoker) to take care of the house and her younger brother. Their dynamic is stale but we understand the situation and its challenges well. We learn that after the loss of her mother Quinn tried to “contact” her spirit and, in doing so, caught the attention of something insidious. Quinn and her father end up seeking the help of Elise, our recurring franchise medium who also has her very own insidious demon’s maligned attention (The Bride in Black from Chapters 1 & 2) from trying to contact her dead husband. Specs (Leigh Whannell; Cooties, Saw) and Tucker (Angus Sampson; Mad Max: Fury Road) return and here is where they first team up with Elise. The evil spirit after Quinn is The Man Who Can’t Breathe. A disturbing sight to be sure, this antagonist adds a major creep factor and some significant scares. To that end, I’ll say that the insidious spirits of all three films have always been exceedingly successful at making audiences uneasy and it is for this reason that—however much I whine about them—I’ll go see every Insidious film they make. The greatest (if only) success of this film is the creepy tone and its ability to catch me off guard with good jump scares. Not simply loud noises. But jump scares–but well-staged jump scares arriving after a creepy, tense build-up. Kudos for that. Being a grumpy critic at times, this really kept me from regretting the film. An evil spirit steals “half her soul.” HALF! Really? We’re meant to just let that one go. Okay, fine. Which half? Was it the half that had the better writing for this film? I was especially reeling with discomfort during the scene (NO SPOILER here, it was in the trailer) when the possessed Quinn kicks her leg casts to crumbs and then walks on them…with bone crunching sounds. Yikes! So wrong! Painful to watch. Sadly, the abrupt turns in the story (many of which leading to dead-end characters we never should have met or notions that add nothing to the story) left me with a bad taste in my mouth and a finale that wasn’t satisfying. But Elise and Quinn were both well-played and, upon further reflection, this will remain in my eyes an excellent scary movie night, popcorn flick. I’m ready for my third trip beyond the never. Are you a fan of these movies? Me, not so much. Not a fan per se and I much prefer Sinister to Insidious any day of the week but they are pleasant time-wasters. To that I agree. I enjoy watching them but don’t necessarily recommend them–at least, not with rave reviews.